This blog is the online companion to the book Hidden Waters of New York City, published by WW Norton. 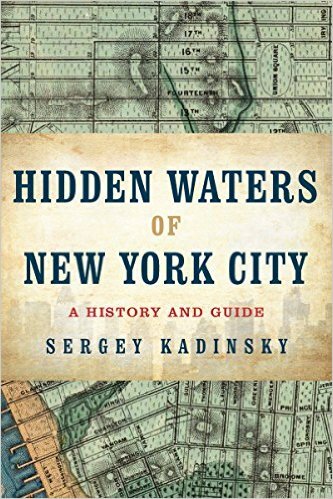 The book’s author, Sergey Kadinsky, is a staffer at the New York City Department of Parks & Recreation and an adjunct professor of history at Touro College. His previous work included community outreach for elected officials in Queens, NY; newspaper reporting; and giving tours atop double decker buses in Manhattan. His hobbies include mural painting, snowboarding, and uncovering little-known bits of urban history. You do mention it in your piece on Maple Grove Cemetery, but if possible, could you possibly do an independent piece on it? Thanks. I gotta do a page on Crystal Lake.